A slew of hands shoot up, the culmination of an interactive lesson about invasive species as part of CBA’s Spat On! program in Fort Walton Beach. 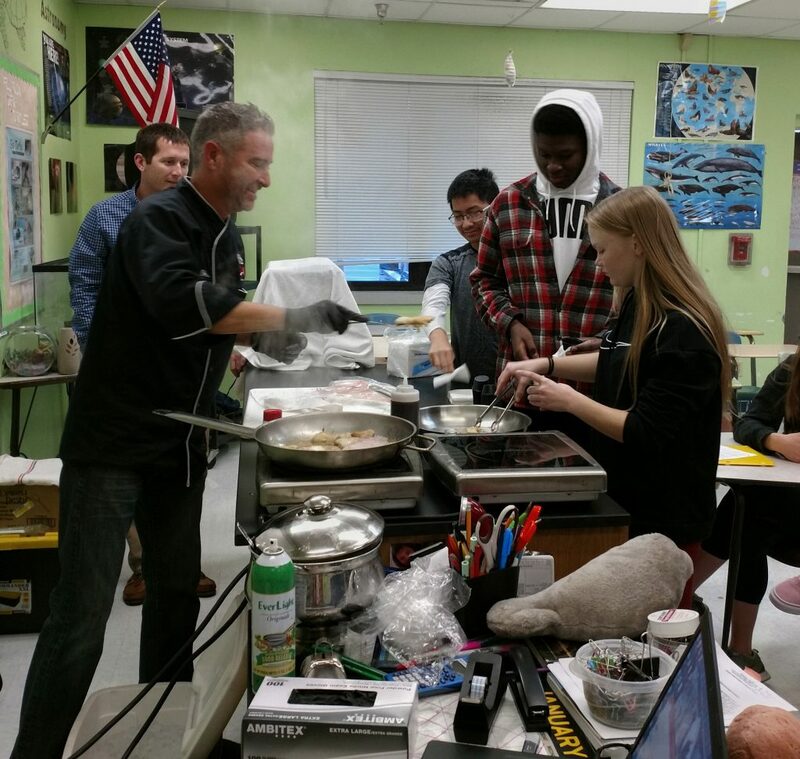 Jim Shirah, chef at Dewey Destin’s, placed the fillets on a hot pan, steam rising in the air of the classroom. Flipping the lionfish a few times, he placed the pieces onto a plate, ready for sampling. The students lined up. Invasive species lessons are part of CBA’s Spat On! program. The initiative provides students with several hands-on activities and lessons that foster their understanding of oyster ecology and the estuarine habitat. Spat On! encompasses both field experiences and in-class assignments. To introduce the students to oyster restoration, students help construct an oyster reef by bagging recycled oyster shell and placing the material at the end of the school year. Amanda Briant, CBA Education Coordinator, began the lesson with an introductory presentation on invasive species and their effects on native ecoystems, before introducing Alex Fogg, Marine Resources Coordinator at Okaloosa County. 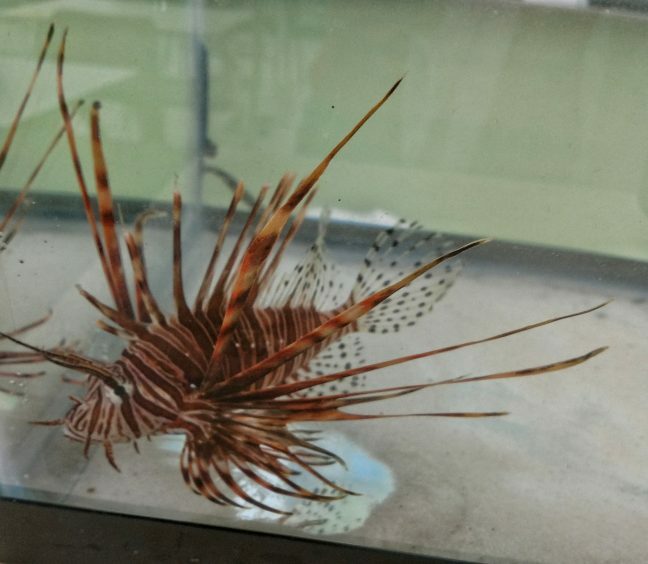 Immersed in combating the invasive lionfish population by creating a seafood market for the species, Fogg traced the introduction and spread of lionfish, as well as different efforts used to curb the growth of their numbers. 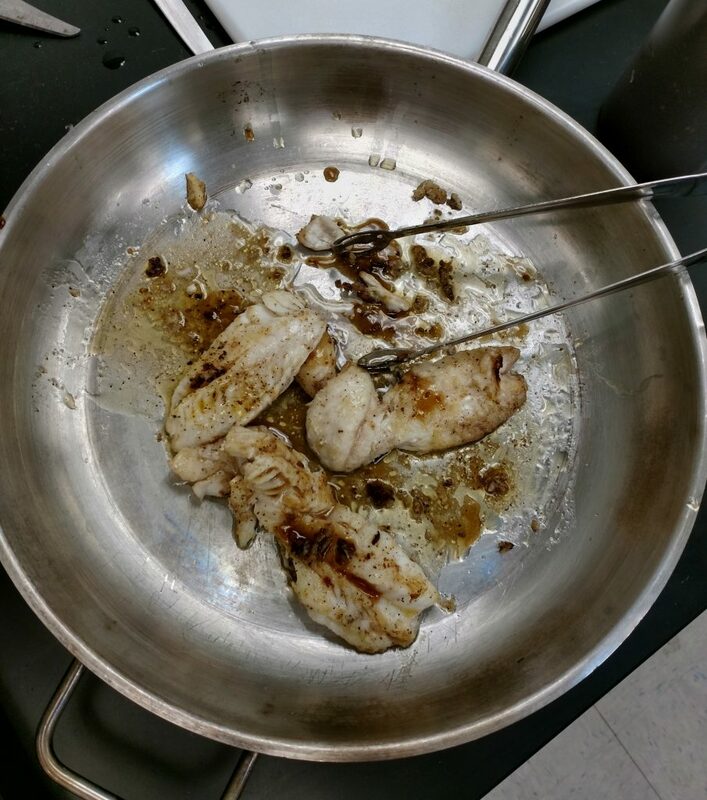 Chef Schirah showcased filleting a lionfish, removing the venomous spines, taking a look at the stomach contents, then removing the beautiful meat for cooking. Students came in closer, taking photos on their cell phones and oohing and aahing over the delicious smell filling the room. Everyone who tried the fish loved it, all agreeing that they would order lionfish if offered at a local restaurant. “This is my new favorite fish,” one enthused. Hands-on, taste-bud focused invasive species demonstrations provide students with a real-world solution to an ecological problem, prompting them to think creatively about landscape management and restoration.